As the conservator of Fannie Mae and Freddie Mac, we help guide their business decisions to protect America’s homeowners now and build a sound infrastructure for future mortgage finance markets. Mitigate the systemic risk that contributed directly to instability in financial markets. MAINTAIN, in a safe and sound manner, foreclosure prevention activities and credit availability for new and refinanced mortgages to foster liquid, efficient, competitive and resilient national housing finance markets. BUILD a new single-family securitization infrastructure for use by the Enterprises and adaptable for use by other participants in the secondary market in the future. The annual Conservatorship Scorecard is FHFA's mechanism for communicating its priorities and expectations for the Enterprises and providing transparency to the public about these expectations. 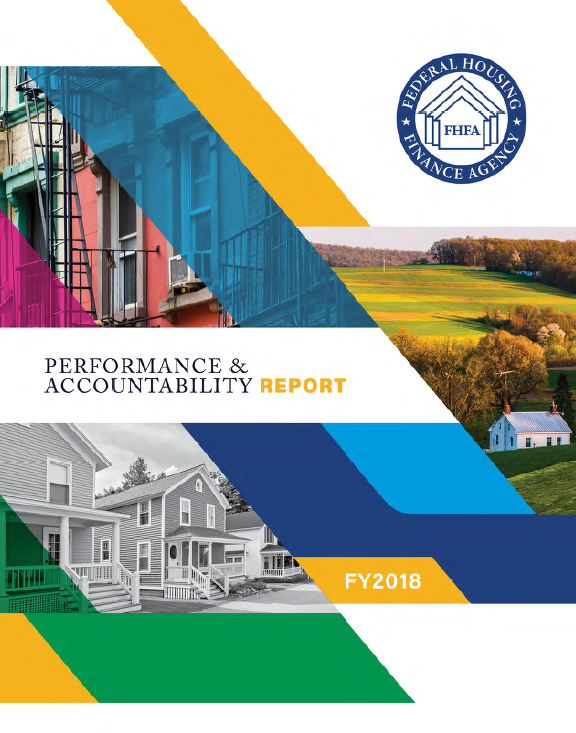 FHFA Conservatorship Scorecard Progress Reports detail the activities Fannie Mae, Freddie Mac, and Common Securitization Solutions made throughout the year in furtherance of FHFA's conservatorship goals: Maintain, Reduce, and Build. Fannie Mae and Freddie Mac are in conservatorship to preserve and conserve their assets and property, and restore them to a sound financial condition so they can continue to fulfill their statutory mission of promoting liquidity and efficiency in the nation's housing finance markets. Conservatorship is intended to stabilize troubled institutions with the objective of maintaining normal business operations and restoring financial safety and soundness. As conservator, FHFA has the powers of the management, boards, and shareholders of Fannie Mae and Freddie Mac. Fannie Mae and Freddie Mac continue to operate as business corporations. FHFA has very broad authority, but the focus of the conservatorships is not to manage every aspect of Fannie Mae's and Freddie Mac's operations. Instead, FHFA is responsible for the overall management of Fannie Mae and Freddie Mac and has informed the Enterprises which decision-making functions should be performed by the Enterprises' boards of directors and/or management teams. The boards and management teams must consult with FHFA and obtain conservator approval as FHFA directs. On July 30, 2008, President George W. Bush signed Public Law 110-289, the Housing and Economic Recovery Act of 2008 (HERA), which established FHFA, giving the agency authority to place regulated entities into conservatorship or receivership. Fannie Mae and Freddie Mac were placed into conservatorships upon the consent of each board of directors on September 6, 2008. FHFA and the U.S. Department of the Treasury publicly announced details on September 7, 2008. Read more on History of Fannie Mae & Freddie Mac Conservatorships page. Treasury and Federal Reserve Purchase Programs for GSE and Mortgage-Related Securities – Data on activities by the Department of the Treasury and the Federal Reserve System to support mortgage markets through purchases of securities issued by Fannie Mae, Freddie Mac, and the Federal Home Loan Banks, as well as by Ginnie Mae, a federal agency that guarantees securities backed by mortgages insured or guaranteed by the Federal Housing Administration, the Department of Veterans Affairs, and other federal agencies. Capital Requirements – link to information about FHFA's suspension of capital requirements during conservatorship. Single Security Initiative and Common Securitization Platform – link to information and public input about the Enterprises' planned common mortgage-backed security, which will be called the Uniform Mortgage-Backed Security, and the new securitization infrastructure supporting the Enterprises single-family mortgage securitization activities. On October 3, 2008, the President signed the Emergency Economic Stabilization Act of 2008 (EESA), providing broad authorities to the Treasury to undertake measures to strengthen financial institutions. EESA included provisions to assist homeowners facing foreclosure and to protect tenants. Section 110 of EESA charges federal property managers (FPMs) to develop and implement plans to maximize assistance for homeowners and encourage servicers of underlying mortgages to take advantage of programs to minimize foreclosures. In addition, each FPM is required to report to Congress every 30 days. The report must contain specific information on the number and types of loan modifications made and the number of actual foreclosures during the reporting period. The Federal Housing Finance Agency (FHFA) is a designated FPM in its role as conservator for Fannie Mae and Freddie Mac under Section 110 of EESA. FHFA commenced reporting as FPM with its initial transmission to Congress on December 2, 2008. The format and content of the reports has evolved over time. Prior to May 2012, FPM Reports included refinancing activity. Thereafter, they had the same content as the monthly and quarterly Foreclosure Prevention Reports, and FHFA began issuing separate Refinance Reports.